This country's managed forest land hasn't been a net carbon sink since 2001. That's because trees don't just absorb carbon when they grow, they emit it when they die and decompose, or burn. You might have heard that Canada's forests are an immense carbon sink, sucking up all sorts of CO2 — more than we produce — so we don't have to worry about our greenhouse gas emissions. That's because trees don't just absorb carbon when they grow, they emit it when they die and decompose, or burn. 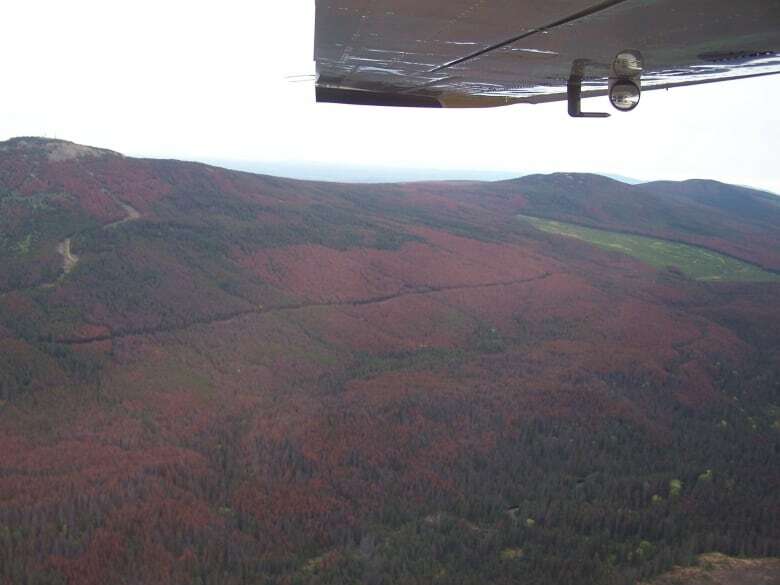 When you add up both the absorption and emission, Canada's forests haven't been a net carbon sink since 2001. 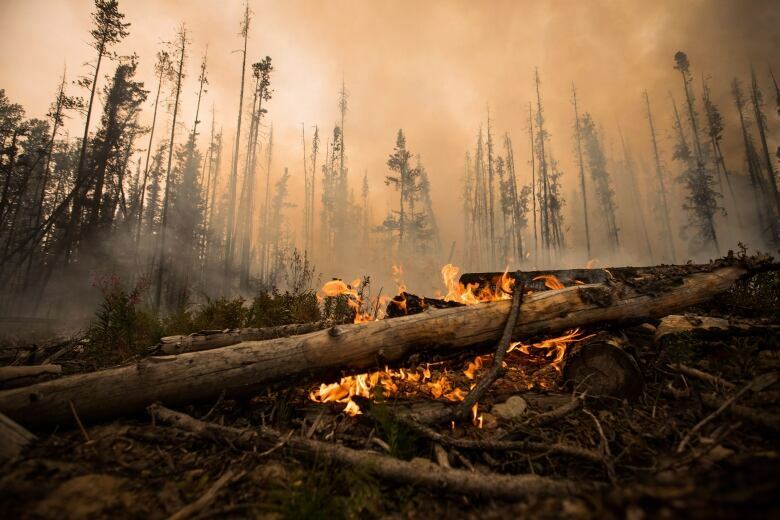 Due largely to forest fires and insect infestations, the trees have actually added to our country's greenhouse gas emissions for each of the past 15 years on record. But, just in the past couple of years, we have taken a different approach. We are now making the case to the United Nations that things like forest fires and pine beetle infestations shouldn't count against us, and that only human-related changes to our forests should be included when doing the calculations that matter to our emission-reduction targets. By that accounting method, Canada's forestry activities would indeed count as a net carbon sink each year. But even then, they wouldn't cancel out our emissions from other sources. Not even close. That's because our trees, in particular, have actually hurt our bottom line. For the past 15 years, they've been "more of a source than a sink," said Dominique Blain, a director in the science and technology branch of Environment and Climate Change Canada. Canada's managed forests were a net contributor of roughly 78 megatonnes of emissions in 2016, the most recent year on record. This includes all areas that are managed for harvesting, subject to fire or insect management, or protected as part of a park or other designation. 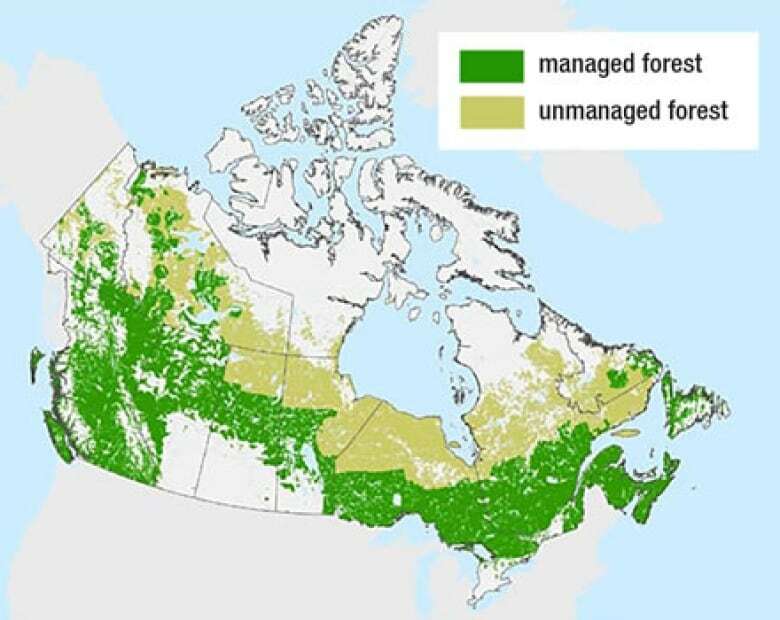 It covers some 226 million hectares and accounts for 65 per cent of Canada's total forest area. It's these areas where forests act as a net carbon sink, year after year. The "sink" effect is largely the result of new trees being planted and growing, after mature ones are cut down. That's a far cry from the carbon-neutral — or even carbon-negative — claims that have been made about Canada and its forests. Still, it's not negligible. And there is a case to be made for using forests — and other biomass — as a part of our climate-change strategy. 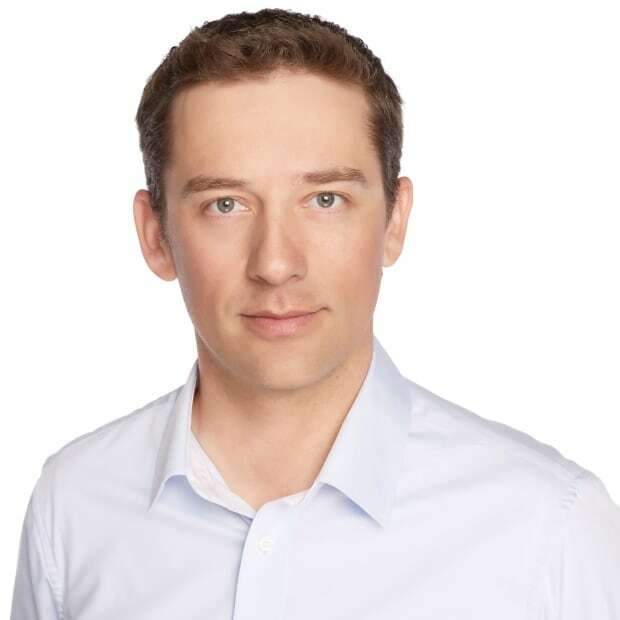 Mark Cameron is a former policy adviser to prime minister Stephen Harper and now runs Canadians for Clean Prosperity, a non-partisan group that promotes "market-based policies that generate growth while conserving our environment." He says effective management of trees and other biomass still has some value in fighting climate change — even if it's not the "get out of jail free card" or "magic bullet" that some people make it out to be. "I hear this frequently from people who don't want to take additional climate action, arguing that Canada really doesn't have to because we have such great forests," Cameron said. "Canada should do as much as we can to sequester carbon naturally. We should take advantage of our forests, our wetlands ... but it doesn't mean that, because we have a lot of forest, we don't have to worry about carbon emissions, which is often the line that people use." 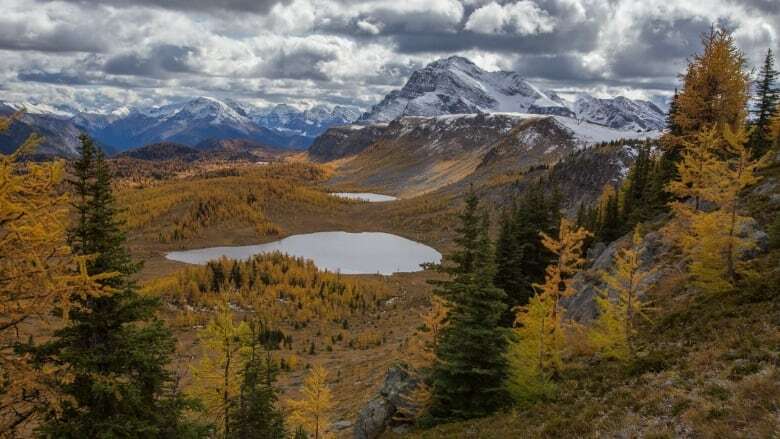 Together, these carbon sinks totalled 28 megatonnes in 2016 and would decrease our total greenhouse gas emissions for the year by four per cent, according to Canada's latest inventory report. Depending on the practices in any given year, these land-use activities have the potential to be even larger sinks. Applied in 1990, for instance, they decrease Canada's greenhouse-gas output that year by 11 per cent. "Canada is examining its approach to accounting in the land use, land-use change and forestry sector," the submission reads. As part of this process, Canada will "exclude the impacts of natural disturbances and focus on anthropogenic emissions and removals." In other words: Don't count our wildfires or the devastation from our pine beetles, but do count our forestry and farming practices. "We are currently projected to fall 232 megatonnes short in 2030," he wrote last year. "By switching to one of the alternative accounting methodologies for emissions from land use, forestry and forest products allowed under the framework, Canada could narrow the gap — perhaps by as much as 63 or 126 megatonnes — even if our actual emissions don't change." The bottom line is that our trees — along with our other, plentiful sources of biomass — could be part of the solution in meeting our international agreements on climate change, but that's more a question of accounting than of actual emissions. As for the claims that Canada's natural landscape makes us carbon neutral — or even carbon negative — already? "I don't think that they would stand scientific scrutiny," said Blain.